Adele is the voice of our generation and while many try, few come close to emanating the superstar’s talent. Anyone who dares take on one of the *superstars* songs deserves serious kudos and one Irish singer has certainly earned herself some praise. Wedding singer Kayla McDonagh is a classically trained singer originally from Connemara, Co. Galway. She began singing at the age 11 and is currently completing her Degree in Music Performance at the DIT Conservatory of Music and Drama in Dublin. Well accustomed to performing at weddings, Kayla is well used to receiving requests for Adele. 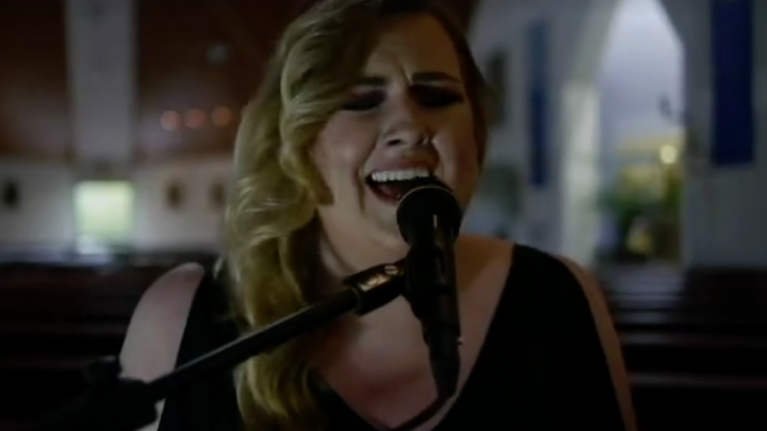 She recently took on Adele’s When We Were Young and her cover has wowed fans on the Internet.